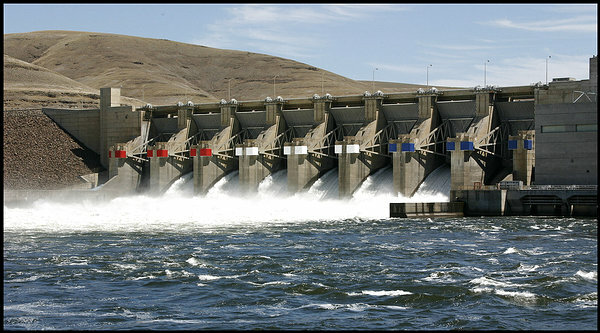 The federal defendant and its intervenor parties in the Federal Columbia River Power System BiOp litigation filed briefs in the 9th U.S. Circuit Court of Appeals in late October, asking for a reversal of a lower court's directive granting more and earlier spill beginning in 2018. The federal appellants' brief said District Judge Michael Simon's ruling did not meet the standard for injunctive relief under the Endangered Species Act Section 7 because the U.S. District Court for the District of Oregon found that "any magnitude" of harm to a listed species is enough to warrant changes to FCRPS operations. The standard is irreparable harm at the species level, the brief argued. The injunction came in National Wildlife Federation et al. v. National Marine Fisheries Service et al. [01-640], less than a year after the judge overturned the current 2008-2014 BiOp in May 2016 and ordered a new BiOp and environmental impact statement on the power system. The lower court's "any magnitude" of harm criterion "gives the district court unfettered discretion to order any changes to the FCRPS it deems fit," said intervenor-appellants Northwest RiverPartners in its filing. The RiverPartners' brief implies the court's injunction needed "to target the specific FCRPS operations that were allegedly causing irreparable injury." Federal appellants claim the district court erred by not considering the potential effects on power system reliability and costs to federal agencies and the public from significant operational changes at the eight mainstem dams during the spring season when the spill order is implemented. The court did not take into account the injunction's cost or impact on the agencies from redirecting resources and experts from the job of preparing a new BiOp and EIS, the federal brief said, "or the cost or impact on Northwest communities, in the form of higher energy rates and/or potential reductions in Bonneville funding for programs that benefit the region, reduced reliability of the power system (e.g., risk of blackouts), or impediments to commercial navigation." The arguments made by appellants echo the concerns they submitted in opposition to the spill injunction when it was proposed by the plaintiff conservation and fishing groups last January. Meanwhile, according to a Nov. 20 proposal by all parties involved in the NWF et al. v. NMFS et al. appeal [17-35462] of the spill decision, answering briefs by appellees the National Wildlife Federation, State of Oregon and Nez Perce Tribe will be due Jan. 9, 2018, if the 9th Circuit concurs.